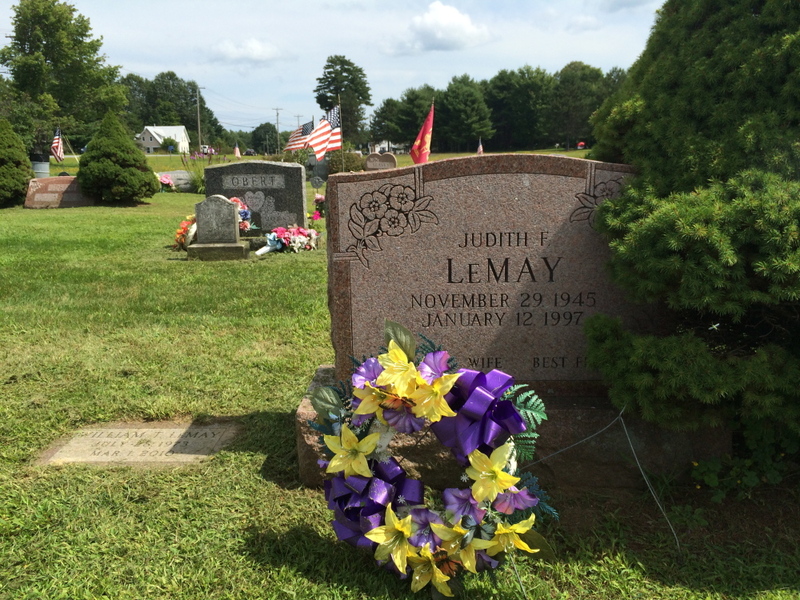 A relative of Judith and William LeMay says he didn't realize that a town error led to his family using the cemetery plot of another family. NORRIDGEWOCK — There may be a resolution to the mix-up in Sunset View Cemetery after a family that buried the ashes of relatives in a plot also owned by another family came forward. Joseph LeMay, whose mother and brother are buried in the cemetery plot, said that before a Morning Sentinel story came out, he didn’t know his relatives shared a plot with the other family. He said he heard about the town’s desire to get in touch with him through an aunt who saw a Portland television station’s report on the Sentinel story. According to property records, LeMay’s grandfather, Kenneth Field, bought half a plot in the cemetery in 1988. The family had no idea that because of mistakes made by the town, the plot had been previously sold — twice — to a family by the name of Bishop. Today there are three members of the Bishop family and two members of the LeMay family buried there. The mistake was noticed about a year ago by Stephen Bishop of Norridgewock when his family moved the ashes of a brother who had died in infancy to the cemetery. His family has two deeds for the plot — which date to 1977 and 1978. Town Clerk Kerri Everett said the town is working on a plan to move one of the families to a new lot at the town’s expense. Bishop has been asking the town for help in resolving the issue since March 2013, but town officials said they were unable to contact either Joseph LeMay or his father. He said he would like to see the urns of ashes and headstones belonging to the Field and LeMay family moved to another plot, but without the family’s consent, the town was hesitant to do so. In addition to separating the families, Bishop said he would like to ask the town to revoke the deed sold to Field and issue the Field and LeMay family a new deed. “Then we can all go back to being good neighbors at the cemetery,” he said Wednesday.